In the show, I can only see"...declare yourself a church." What does it mean and what is the complete sentence? I also see a pretty woman with a surprised look on her face. These four elements are not enough for me to decipher the thought that the speaker might be expressing, let alone an actual sentence in the English language. David, I'm fairly sure that the pretty woman is the actress Julia Louis-Dreyfus, and that the photograph is a still from the television show Seinfeld. Ruifeng, can you confirm this? With further information to give us context, we might be able to answer this question. Otherwise, we can only guess. Sorry, David. And you got it, Doc. I'll check which episode it is. I finally got it! 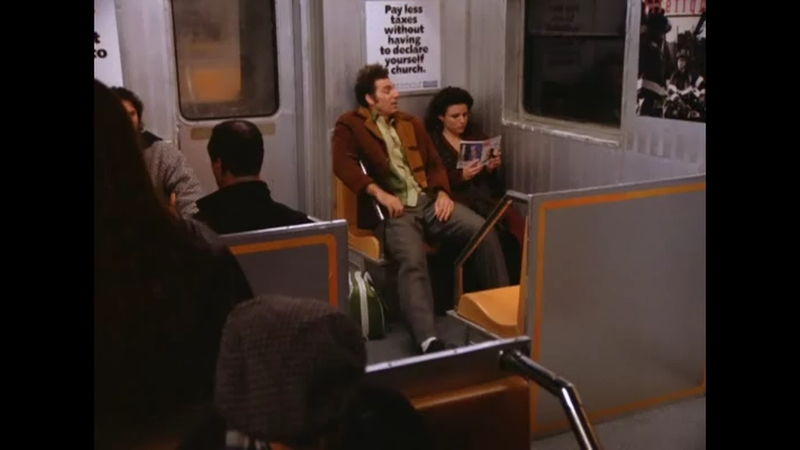 It's in the show Seinfeld, Season 5, Episode 10, around 2 minutes and 50 from the beginning. And I also managed to get a better still. Churches are tax-exempt, that is to say, they do not pay taxes. If you declare you are a church (or declare yourself a church), you will be able to evade taxes. That poster offers you a way to pay less taxes without having to resort to the artifice of declaring you are a church in your tax return (which is the form where you declare your income on the basis of which income taxes will be assessed).